MANILA - A congressman asked the Department of National Defense (DND) on Monday to investigate reports that ammunition used by Maute terrorists in Marawi City came from a government facility in Bataan and from private manufacturers. House Appropriations Committee chairman Karlo Nograles said he saw photos of ammunition boxes with "Government Arsenal" markings which were recovered from areas retaken from the rebels. Nograles said he was concerned that government-manufactured firearms and ammunition were falling into the militants' hands. "The worst thing that we can have is magkaroon tayo ng mga ganitong encounters tapos ang ginagamit na bala ng mga kalaban natin ay galing sa government arsenal," he said. Defense Secretary Delfin Lorenzana did not categorically deny that boxes from the arsenal were among those recovered in Marawi. He admitted however that state troops clearing the battle zone found ammunition boxes with Armscor Philippines markings. Armscor is a local gun and ammunitions manufacturer, dealer and importer. Arsenal chief retired Maj. Gen. Jonathan Martir said his office could not monitor the distribution of ammunition from their facility after these are turned over to the Armed Forces' Logistics Command. 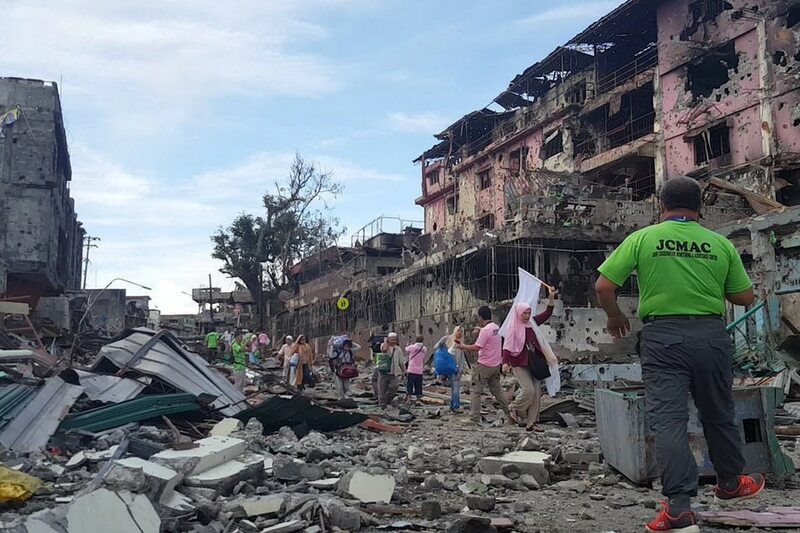 Less than 40 extremists are still holed up in Marawi, over 2 months after they attacked the city on March 23 and prompted a declaration of martial law over the entire Mindanao, Armed Forces Spokesperson Brig. Gen. Restituto Padilla said Monday. The terrorists, he added, hold 80 to 100 captives, including Catholic priest Chito Suganob, who was recently sighted by several rescued hostages.